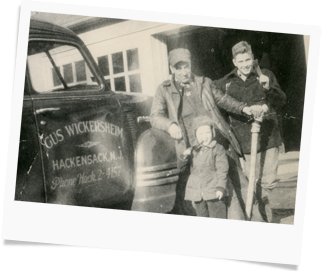 Our grandfather Gus Wickersheim started the company on Bridge Street in Hackensack in April of 1926. He was seen walking to and from his customers’ houses with his tool box in tote. In 1933 he moved the business to 92 Fairmount Avenue in Hackensack where we remain today. His oldest son John Wickersheim “Jack” took an interest in the business in 1950 after he graduated from high school. 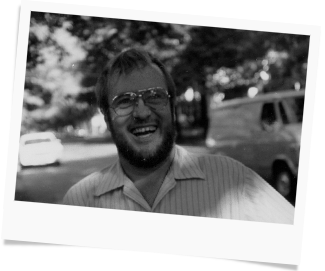 Robert Wickersheim Sr. started in the business 15 years later after enlisting in the CB’s during the Vietnam war. Gus ran the business like it wasn’t a business call but a call to go visit a friend and maybe take care of his plumbing problem while he was there. This philosophy of doing business has been carried over to our present day way of doing business. A hand shake still means everything to us. We have a lot of those customers around today along with their kids and their grandchildren. Rob, Scott and Todd Wickersheim have all graduated from Hackensack High School and all still live in Bergen County today. Their commitment to doing business fairly and honestly is why the business has grown from 2 trucks in 1995 to over 10 vehicles today! A recent find by one of our customers has turned up quite an interesting bit of history. 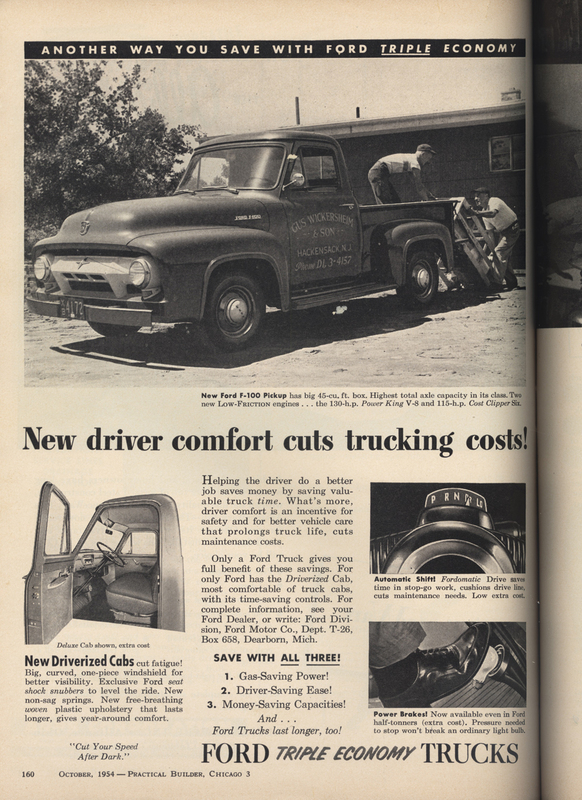 It seems that a Ford F-100 truck ad appearing in the October, 1954 issue of Practical Plumber magazine features a brand new "Gus Wickersheim & Son" work truck! That's Grandpa Gus loading a water heater with Uncle Jack. Who knew they, along with the Wickersheim truck, would star in this national Ford ad! 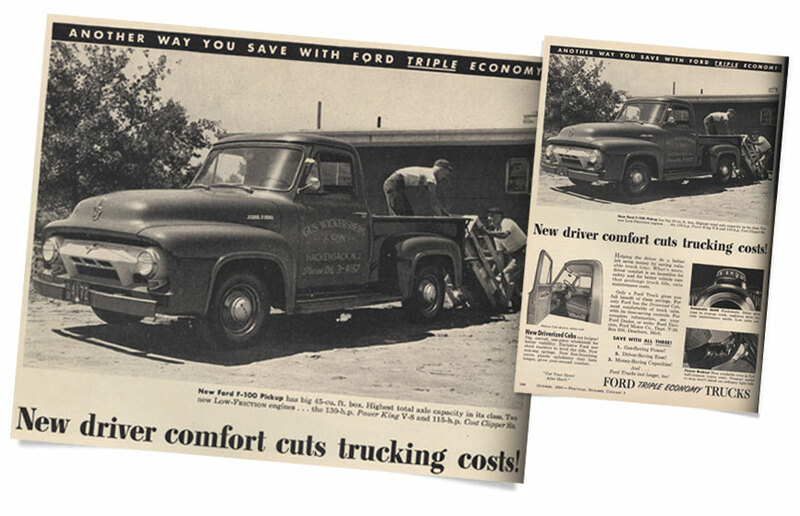 We like to think sales of the 1954 Ford F-100 soared after the appearance of this ad!